I don't want to say that I am a super clever or a super dump person (I hope that I am something like an average Central European intellectual :) ) but sometimes I feel that I “kill my ideas before they come true”, or in other words, I miss opportunities to implement something important, yet achievable for me. If I resample this situation correctly, I think that it may happen to me at least ten times per decade. OK, this is not a huge number but sometimes one good idea is enough :). 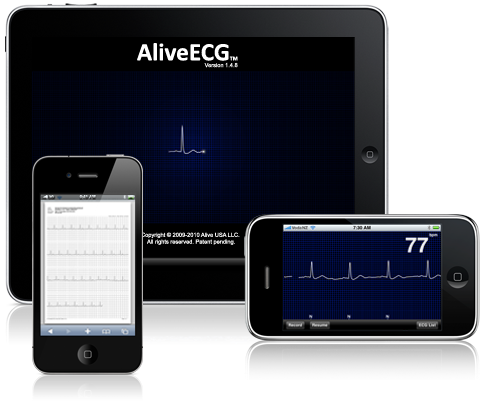 Even now, having seen the “ECG Device for iPhone” presentation, I scream to myself with a silent dissatisfaction: “This is my idea!”. OK, as I said, I am not a genius or something like that :) and probably at least 1000 people, during the last two years, were inspired by this (or analogical) “silent / individual, yet unique idea”, and, I assume, they were even in the production process, or, at least, they were thinking about possibilities of its realization, or etc. So, the question: “But why, why was not it me who has the final product?” should be asked by me in a silent mode :). Thus, it is nothing new that one day “Telemedicine” will become something usual and natural for us as mobile phones these days. 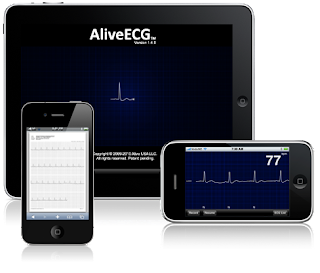 Everyone will be able to have some dedicated application that will monitor his health condition on-line and will assure the illness prevention. The potential sickness will be detected before it attacks with a full power. But for now, I hope that maybe next time, after deep “intellectual” thoughts, I will go for its realization as fast as possible, and, then I hope I will be the one who offers the powerful and useful telemedical innovation product. Moreover, the more important, I hope it would be something more clever than this “Stool Scanner” or “Lick Game” that iPhone user will use in this listed order ;). Happy New Year, and I wish you as many impressive IT thoughts as it is possible to realize. but it's great when great ideas come true even if they implemented not by you.